FSX – Davis Field Airport 3J6 located in SouthEast Georgia (GA), USA is a publicly owned, public use facility established November, 1962. 3J6 features a 2500 x 50 ft lighted Asphalt runway with a lighted wind indicator in a segmented circle and a sunset to sunrise green-white beacon. 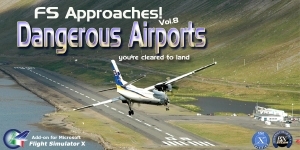 The airport lists 5 home based single engine aircraft. This entry was posted on January 27, 2019 at 17:20, and is filed under Scenery. Follow any responses to this post through RSS 2.0.You can leave a response or trackback from your own site.